Palate: tender, almost 'fleshy', with strong tones of spicy grape, plum, and mirabelle plum. Finish: daffodil, cherries, and ginger. 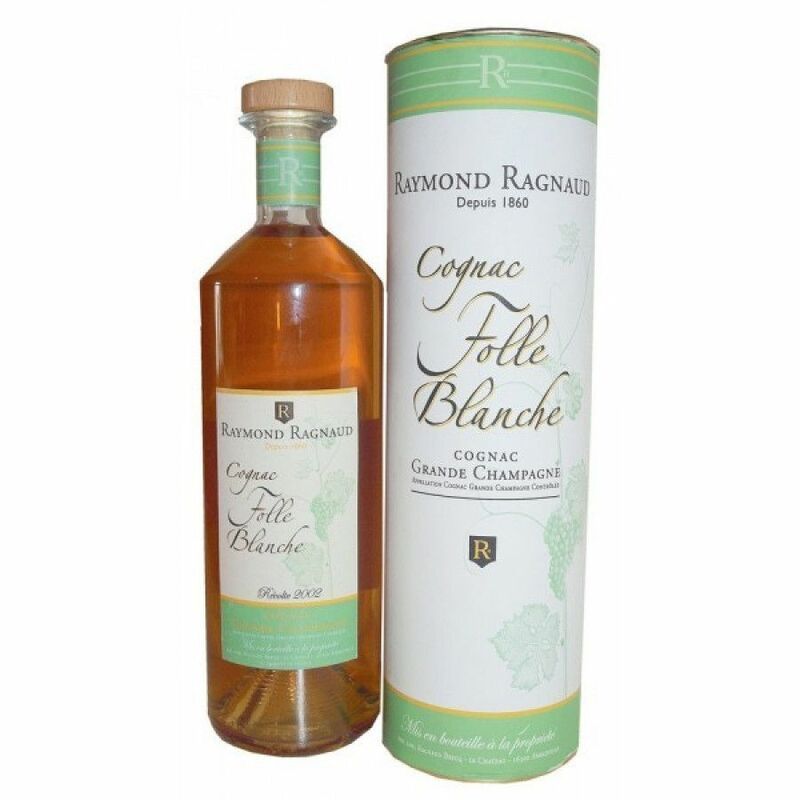 The Raymond Ragnaud Folle Blanche 2005 Cognac is quite unique in that it's produced from a rare, old grape variety called Folle Blanche. This used to be the grape of choice in the vineyards of Cognac until the phylloxera blight in the 19th century killed off most of the vines. They were then replanted with more hardy, disease resistant varieties. This best thing about eaux-de-vie created from Folle Blanche grapes is the delicacy, elegance, and perfume they impart to the wine. This 2005 vintage harvested delight is literally a journey back to times gone by - one that anyone who appreciates a good Cognac will surely enjoy.